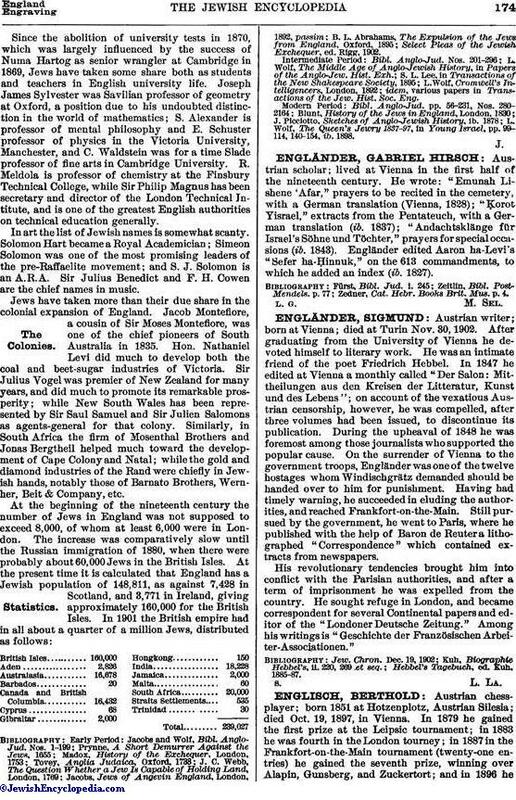 Austrian scholar; lived at Vienna in the first half of the nineteenth century. He wrote: "Emunah Lishene 'Afar," prayers to be recited in the cemetery, with a German translation (Vienna, 1828); "Ḳorot Yisrael," extracts from the Pentateuch, with a German translation (ib. 1837); "Andachtsklänge für Israel's Söhne und Töchter," prayers for special occasions (ib. 1843). Engländer edited Aaron ha-Levi's "Sefer ha-Ḥinnuk," on the 613 commandments, to which he added an index (ib. 1827). Zedner, Cat. Hebr. Books Brit. Mus. p. 4.